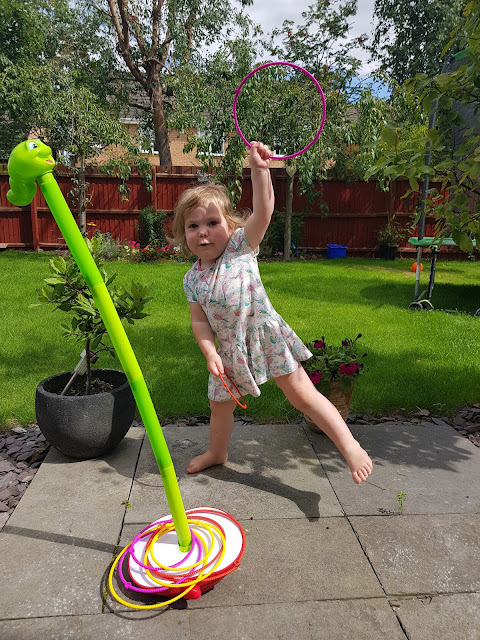 Remember those traditional games you'd play as a young child? Things like hoopla, pin the tail on the donkey, skittles or hungry hippos? I often find these type of games never die a death and tend to be resurrected and loved by children and adults alike over the years. 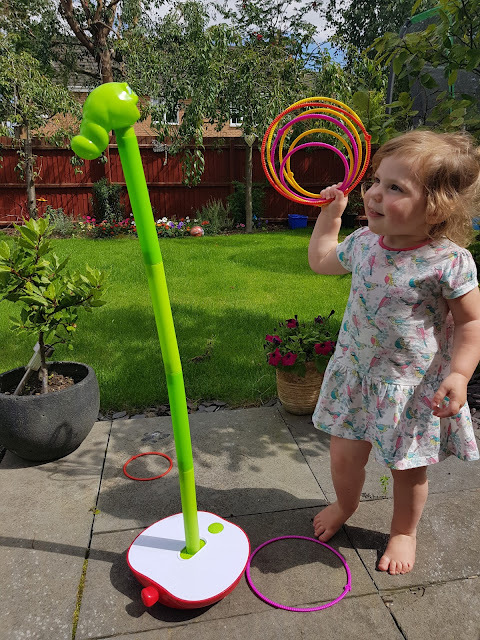 We've recently been sent a take on hoopla called wobbly worm by Spinmaster (RRP £19.99). 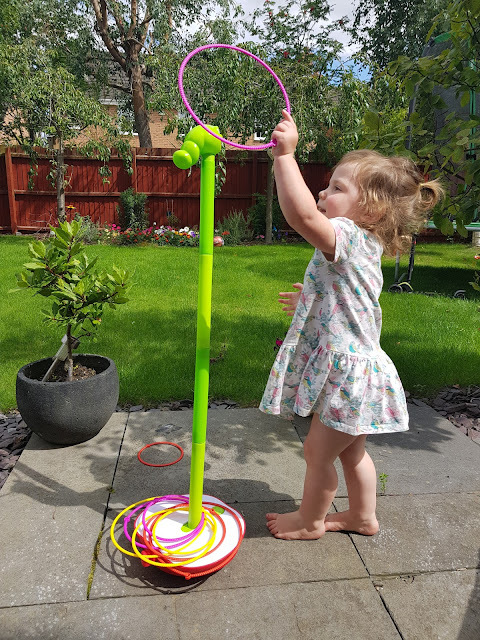 The concept is very simple, get 3 hoops over the worms head to win! The game itself is very simple to assemble, batteries aren't included which is worth noting otherwise you may have some disappointed kids if you can't get it to work straight away! 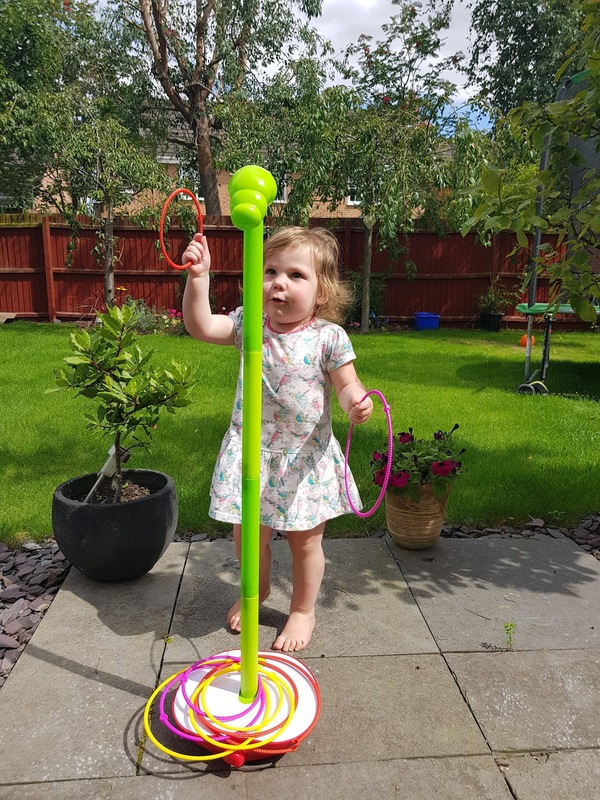 The fab thing with this game is it grows with your child so you can start of with the worm short and add the extra tubes to make it taller depending on the age of the child. This is all well and good but both my 2 insisted on it being on the tallest setting! 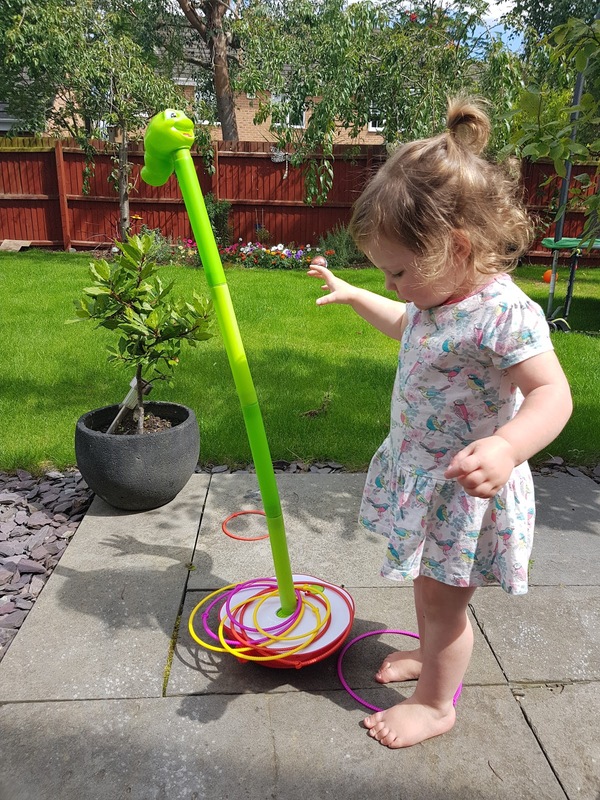 The trouble is the taller the worm the more challenging the game, but that didn't really stop both Alfie and Elarna having a whale of a time with wobbly worm. What do Spinmaster say about wobbly worm? One sunny afternoon we put wobbly worm outside to play with it. Elarna just thinks it is absolutely brill, she loves the way it moves around, to be fair she has no clue about the concept of the game but she just loves hooking the rings again and again again. Alfie with him being 5 gets the idea of the game more than she does but yet he doesn't take as much interest in it as Elarna. The concept of the game is as simple you get given a set of coloured hoops and try and loop them over the worm while it's wriggling and moving away. We've all had a go and it's not as easy as it sounds, especially if you stand a bit further away from it. 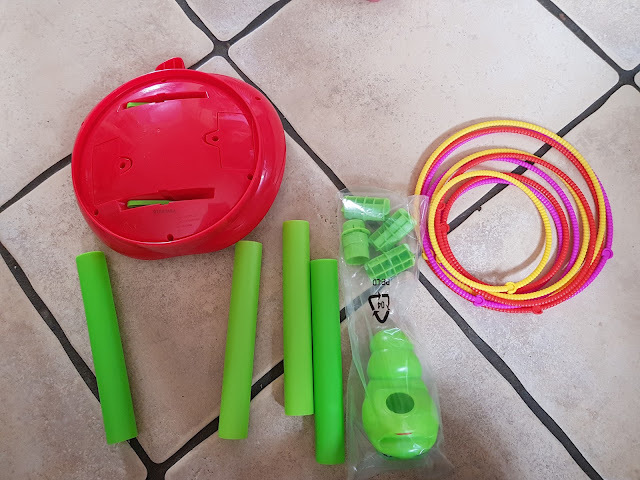 What it is though is a ton of fun, it just goes to show that the simplest of ideas are sometimes the most fun and engaging. 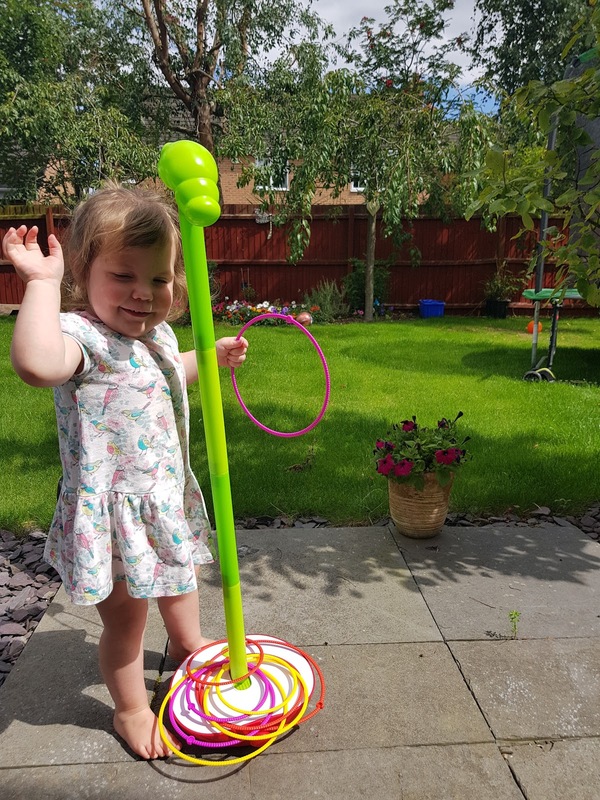 Available from leading retailers it would make an ideal birthday gift for pre schoolers. At £19.99 it's not going to break the bank and you'll get your moneys worth, plus it's fun to play both inside and outside (assuming it's not chucking it down!). 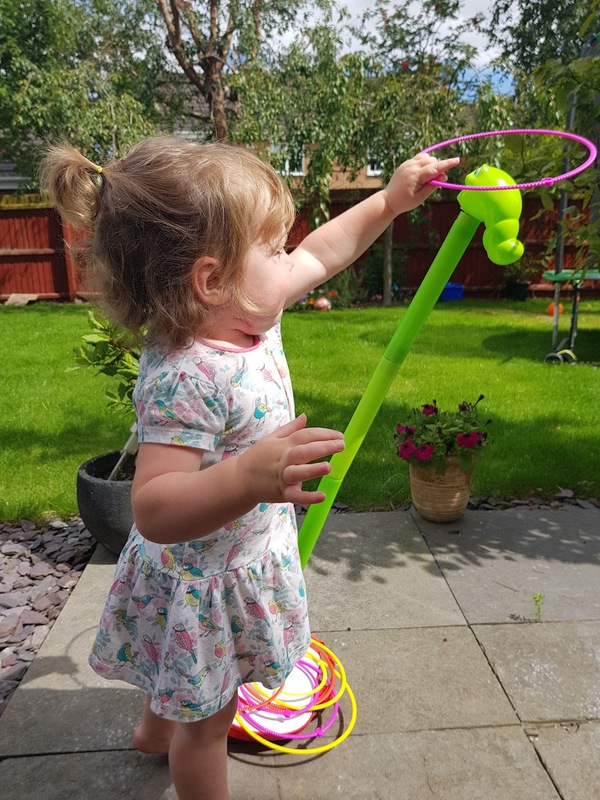 Wobbly worm is a fun, colourful and appealing game for a wide variety of ages. 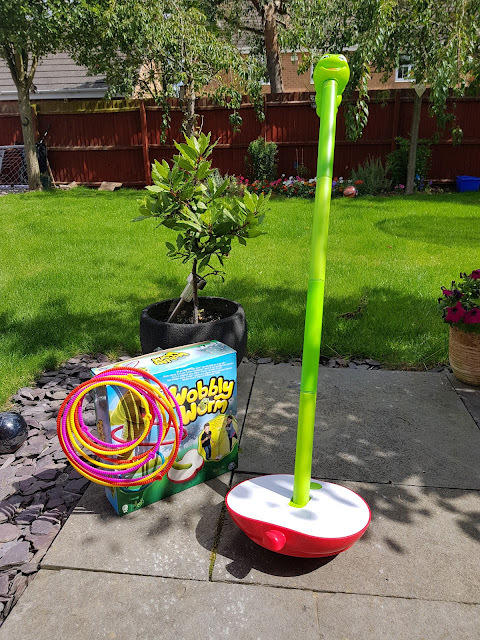 It's simple to set up, easy to play and a whole lot of entertainment. 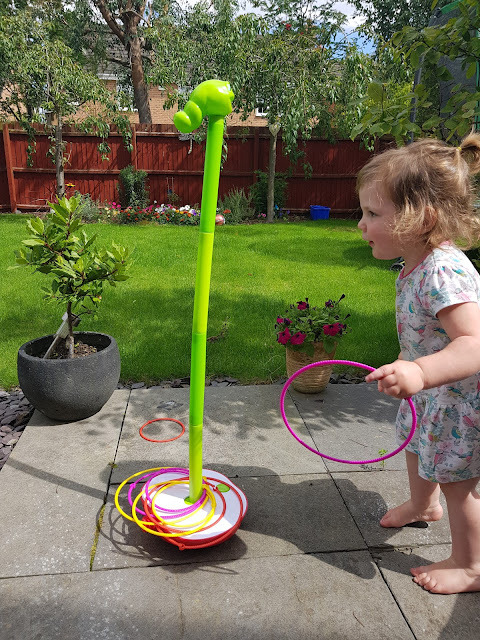 The only negative I can find is perhaps if your children are a little vigorous of nature *ahem* which my 2 are a tad the worm can get knocked over so it's not ideal when you've got 2 children enjoying the game and you have to start it over again. It really is a minor negative though and certainly doesn't spoil the wobbly worm. 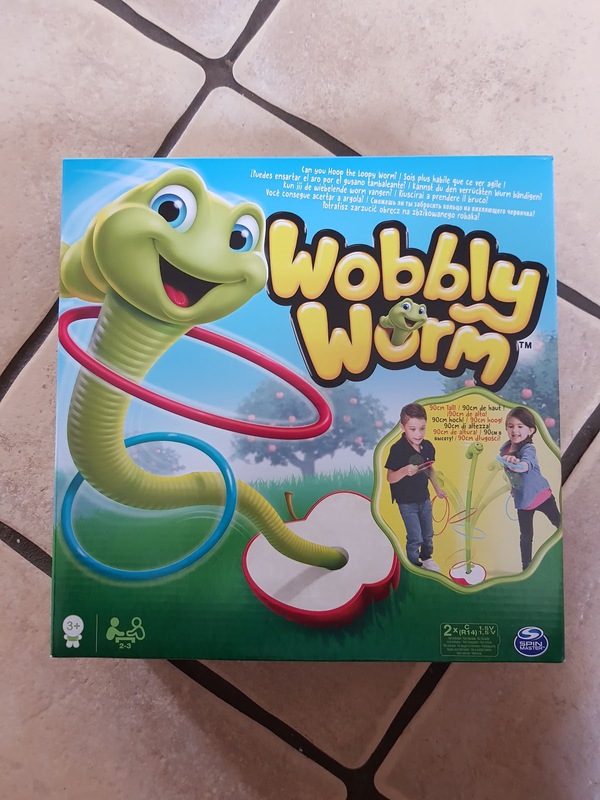 So what do you think of wobbly worm? Think it looks fun? * Please note we were kindly sent wobby worm free of charge in exchange for an honest review, all thoughts and opinions are that of my own. This looks really good fun and the kind of game that all ages can play. Not too many rules to get bogged down in too!